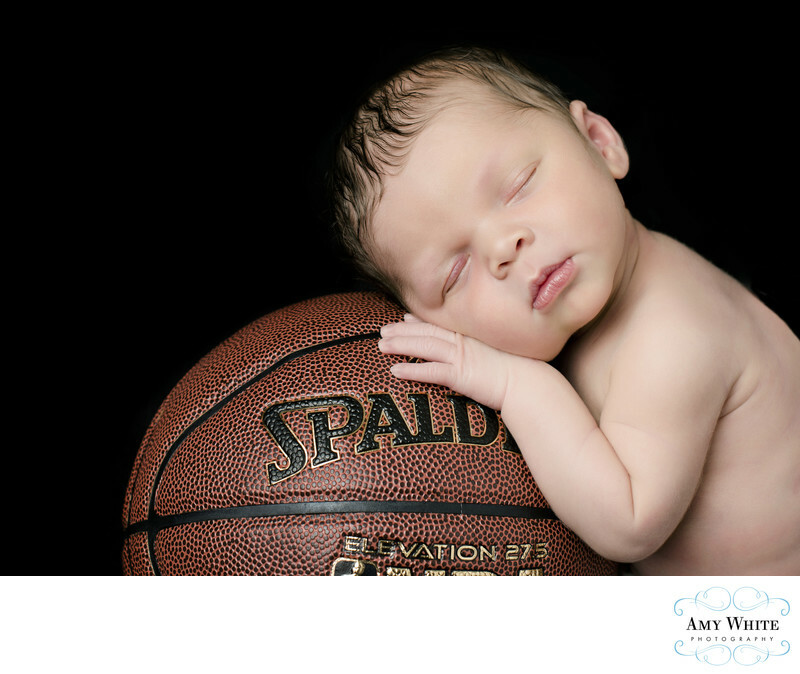 This little boy looks so peaceful laying on his basketball! His mommy brought this ball to each of his sessions during his first year to have him photographed with it to show how much he had grown. What a fun way to remember baby's first year!